TAMPA, Fla. — Ybor City could be the new home of the Tampa Bay Rays in the coming years. At a news conference on Friday afternoon, officials gathered to announce their mission to bring the Tampa Bay Rays from St. Petersburg to Ybor City. Hillsborough County Commissioner Ken Hagan, Chuck Sykes, CEO of Sykes Enterprises, Ron Christaldi, Partner at Shumaker, Loop and Kendrick, LLP, Mayor Bob Buckhorn and the Principal Owner of the Tampa Bay Rays, Stuart Sternberg, were on hand to make the announcement and take questions about the future of the major league baseball team. Rays owner Stu Sternberg didn't reveal too many design details, but did mention a roof. "We're going to need a roof-- retractable or fixed-- we're going to see as the process goes along. No decision's been made on that," he said. With the announcement, comes a petition for residents to show their support of the movement. Click here to learn more . However, some St. Pete residents are skeptical. "I feel like the demands that the Rays make on a city are just absolutely ridiculous for an organization that is making plenty of money to support themselves," Caleb Cain said. 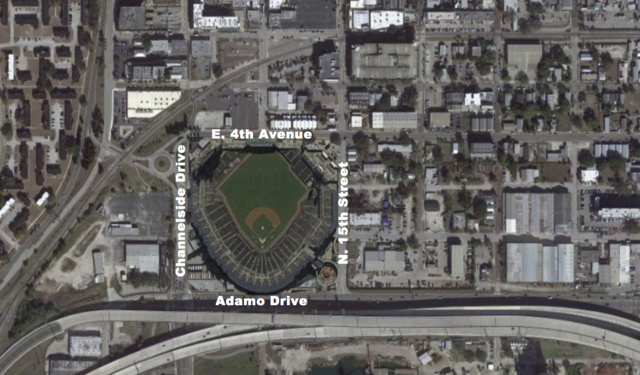 In October 2017, Action News reported land located between Channelside Drive, Adamo Drive, N. 15th Street, and E. 4th Avenue would be the boundaries for the new stadium. Some local business owners are hoping they will see the benefits of such a large scale project. "That means a lot to construction folks and a variety of vendors-- concrete, brick masonry," Ybor City business owner Travis Horn said. Currently, the Ybor City location is an expansive industrial site. This is the process unfolding as envisioned in order to keep the Rays in TB. The easy part is picking a favorite site. Hard part is figuring out the rest. I believe the Trop site is the best future home for the Rays, but we will also begin to master plan the site w/o a stadium. 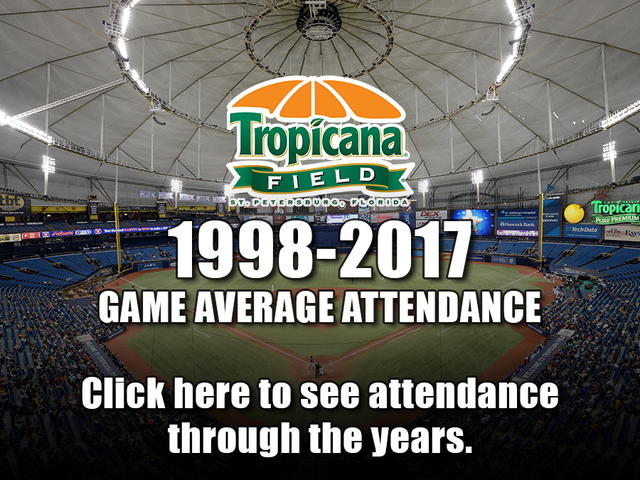 The city of St. Petersburg l aunched a campaign called Baseball Forever to keep the Rays at Tropicana Field. Fans in St. Petersburg tell ABC Action News, they'll miss the convenience of having a major league team nearby. “It’s sad on one level because I mean, I love baseball, I’m a baseball guy. And to lose that in any community is a big loss," said Christopher Herd, who lives next to Tropicana Field. Ybor residents are preparing now for the unavoidable changes to come if the stadium is built in their backyard. “I suspect it will be more like Gasparilla during game days where it’s packed, there’s no place to park," said Richard Senker. “The parking lot that’s actually in Ybor City, there’s no way that can handle the volume of a Rays baseball game," said Roger Noble. The Rays contract with St. Pete runs through 2027, but the city has agreed to let the team pay to leave early. If financing goes as planned, Hagan says the first Rays game in Tampa could happen by 2022.